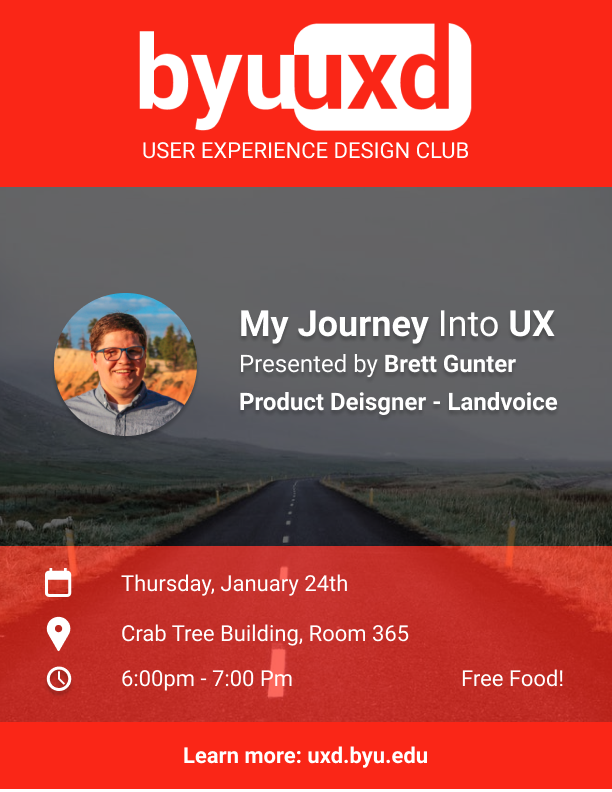 The UXD Club will be having an event on Thursday, January 24 at 6pm in room 365 of the CTB. Come for the free food, stay for the cool presentation. 🙂 The presenter is a product designer for a real estate (software) company, and he’ll be talking about his journey and experiences in UX.